Energy in belly, love in chest, out with gratitude, new attitude. 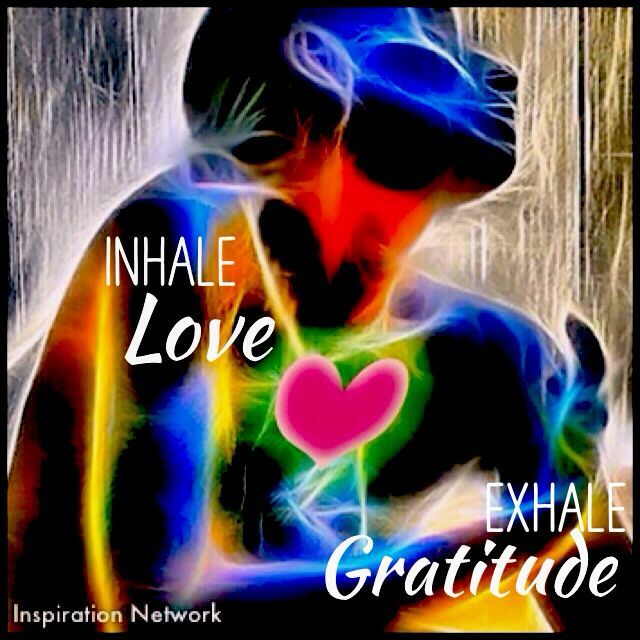 Inhale love into your chest and heart. Love-chest swelling. Exhale gratitude, for Earth, for life, for tribe. Exhale gratitude – Buddhist monk vibe.